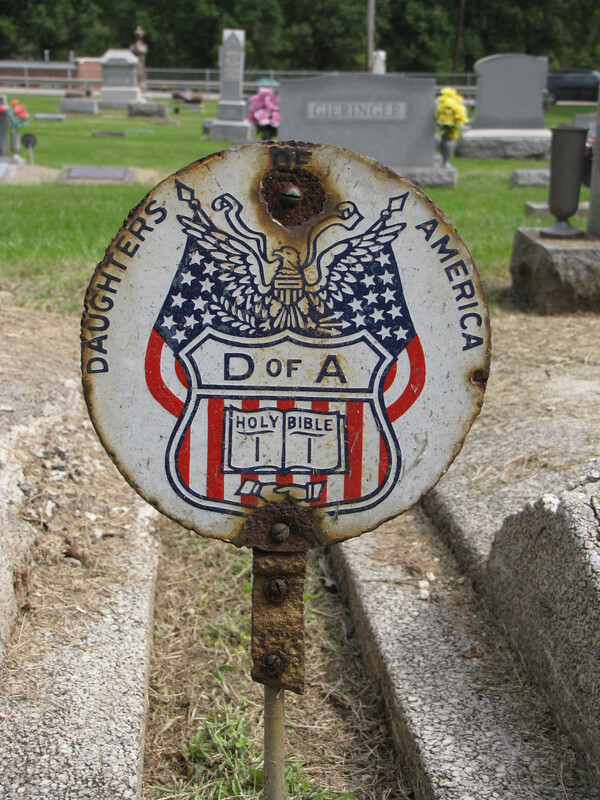 The metal marker above marks the grave of a member of the Daughters of America, a fraternal order founded in Allegheny County, Pennsylvania, in 1891 as the auxillary organization of the Jr. Order of United American Mechanics. The eagle and the stars above the shield represent patriotism, the open Bible in the shield symbolizes religion. Below the Bible are clasping hands, representing the unity of membership. My great great grandmother was a member of Daughters of America. She lived in Miami, OH and was a member of a Methodist Evangelical church. I have pins, photos, and ribbons from the organization. My great grandmother may have been a member as well in Los Angeles, CA. I am interested in gathering information about any D of A museums or historical societies. My great grandfather (John MacLean, 70, of Ridge Road,) died suddenly of a heart attack on Tuesday (Jul. 13, 1954) at his home in Gasport, Niagara County, New York. He was a retired telephone man, had lived in Gasport for the past year. He was born in Patterson, N. J. Sept. 1, 1883, he was associated with New Jersey Bell Telephone for 31 years. He was a member of the Daughters of America, No. 39 of Patterson and the Pioneer Bell Telephone Company. I am interested in obtaining as much info as possible about his role within the D. of A.
Mr. Palamidy, The Jr.O.U.A.M. and the D of A, are two separate organizations. We have none of their records. Although the D of A, at one time, was a sister group, and would hold their state conventions in conjunction with ours; their business meetings were held separately, and we have no minutes from any of their meetings. The D of A has not met with the Jr. OUAM in many years, and we have no contact information. I am sorry we could not be of any help. 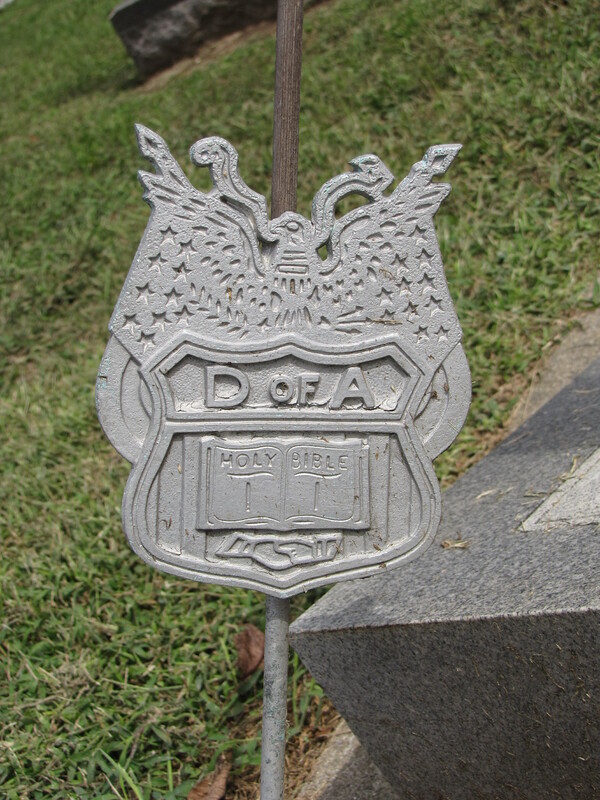 My great great grandmother was a D of A member near Portsmouth Ohio until her death in 1918. Since her husband had passed just 3 weeks prior (during the great flu outbreak), the D of A paid her funeral expenses and assisted in the placement of their orphans in an educational/trade facility. I would like to know if the organization still exists? The Daughters of America was an organization founded and headquartered in Cincinnati, Ohio. According to Wikipedia they still existed in 1997, but that is the latest information I have been able to find. Please do keep me updated if you find out anything, concerning the memorabilia from the Daughters of America and your mother. 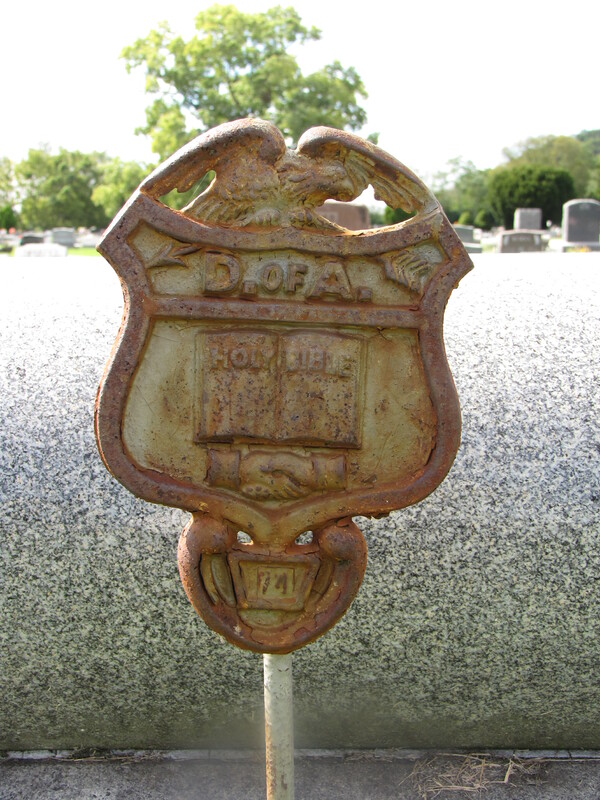 My great grandfather (John William Maclean) was in the New Jersey DoA, also. 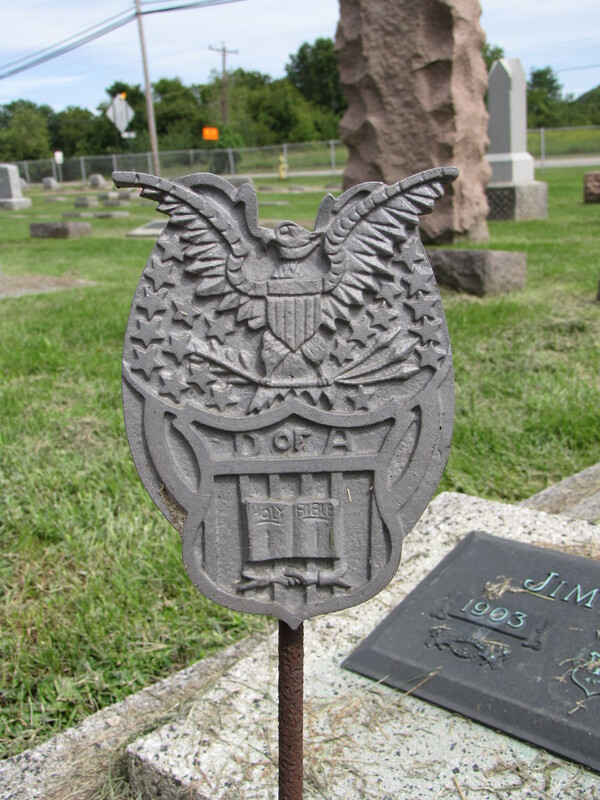 He was buried within the Hartland Central Cemetery in Gasport, Niagara County, New York. On Sept. 1, 1883, he was born in Paterson, Passaic County, New Jersey. On July 13, 1954, he died of a sudden heart attack. He volunteered for both World Wars (I & II). His last job, in which he retired from, was with A.T.&T. in New York. I am still busy researching and trying to locate as much as I can. Is there a museum for Daughters Of America? I have some memorabilia from either Cincinnati or Los Angeles. My great grandmother was in both conferences. Sara Bell is the Secretary to the National Council Daughters of America. Gwen, would she have any info of Dayton,Oh in the 40’s , I have certificates my mother won..
Also, this is different from the Daughters of American Revolution. We are two separate organizations and there are different ones over the nation. I am trying to find information on my deceased mother’s membership to Daughters of America, Council 101 Martha Washington from Delta, Pennsylvania. Can anyone guide me? sararose6@outlook.com is the email of the national secretary of Daughters of America. She will help you get with who you need. Tell her Mandi gave you the email address. My name is Margaret Garrison( maiden name Voorhees) I’m writing to see if my ancestors were members of the D of A. I have a beautiful pin. It belonged to my Grandmother and she gave it to me when I was young. Her name was Carolinr Harpersberger Voorhees. Thank you. Hi, I own many Daughters of America pins. I have somewhere around fifty metal and seventy five button types. Some of the metal ones dangle approximately four inches, sometimes with a fabric American flag attached. They are mostly from various Ohio locations, sometimes have the members name and photo along with the office that the member held. I did not go through them all but one is dated 1913. I am interested in selling the lot of them. I am in Cincinnati. Please let me know if you have any interest. Thanks! I am interested if you are still active here. I live in Cincinnati. Contact me at kwjohnson7583@gmail.com. still meet the first and se puns Tuesday’s of each month. D of A is no longer a secret society. anything about him, can the DoA help me in finding out what type of person he was? The Daughters of America National Secretary is Sue Bell. Her phone number is (317) 796-2526. Does anyone have any information on the Daughters of America uniforms? I believe my grandmother was a member in Cincinnati. I have a photo of her in a uniform of some sort, white blouse with tie and stripes on the collar and arms, skirt, and hat. It is from the early 1920s. I’m trying to determine if this is her uniform from the D. of A. Thanks! My mother and grandmother were in it and I am in it now. White was the color they were supposed to wear, skirt or dresses, no pants for women. They did have capes at some point, but I don’t know when. Hope that helps! My grandmother was 51 year member of Nathan Hale Council, No. 93, D. of A., Dr. when she passed away in 1979. She was the 1st one initiated into her Council if I understand correctly. At the time of her passing, she lived in ILL, but always kept her membership in Baltimore, MD. Does this Council still exist? I’d appreciate any information I could get. Thank you for your time. Her name was EMMA ELIZABETH BENNETT. My grandmother was possibly a D of A. She was born in Harrington, Delaware, and lived in Fremont, Ohio from 1921 to 1957. Her name was Anna Belle Hoey Cooper. Were there councils in either place and is it possible to check a national register? Any help would be appreciated. My grandmother and my mother and I were members of Lyon Council #2 in St. Louis, Missouri. They were both past State Councilors, I just went up through the chairs. It was disbanded many years ago just no interest from young people in a fraternal organization. Very sad. I remember being in many parades with our white uniforms, white shoes and proudly carrying an American Flag. I was and always will be so proud to be a member!! So happy to hear it is still in existence.